Anime Lover here since 1990. I love Dragon Ball, Gundam Wing, Hell Teacher Nube, Vash Stampede, Hunter X Hunter and many more. @Dino123 : WELCOME!! 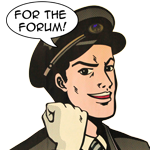 To the Greatest Anime Forum In This World: AF!! Enjoy your stay, follow the rules, and have a Happy New Year!! Hell Teacher Nube? You must have gone to the same high school as me! What is Hell Teacher Nube anyway? In front of a computer. I'm a Vash fan as well. Welcome to the forum. Hello!! Welcome to the forum, I'm new as well! I don't hear much about people liking HxH so I'm glad to hear someone else likes it! Feel free to add me if you like! Hello!! Welcome to the forum, I'm new as well! Newbies get active! This site does need new blood and fresh ideas. Start creating new threads! The rest of us may have run out of ideas. Thank you for welcoming me guys! Thank you for welcoming me, yes I will be a super active member. Are "bad" guys really more appealing to girls than "good" guys? Why are guys so perverted? No offence guys!